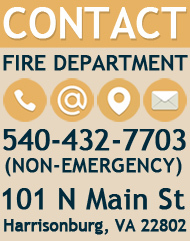 The Harrisonburg Fire Department Prevention Division encompasses three areas; education, inspections, and investigations. The goal of all of these programs is to keep you safe! Please use the links below for your reference.